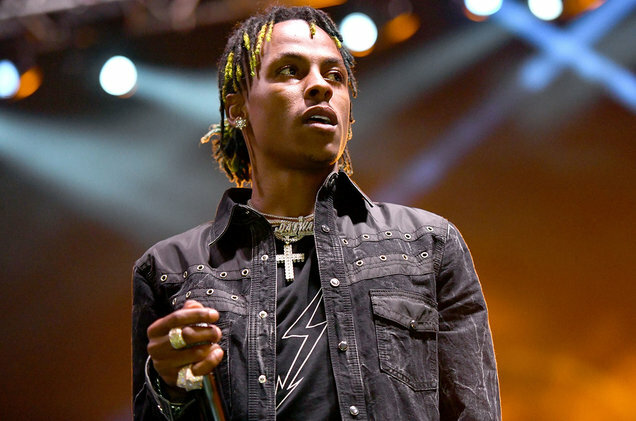 Rich The Kid did he really die? Me personally I just really hope that this is a real situation only because if it is not a real situation and this is a marketing tactic. I feel that the culture is getting too dependent on attention seeking instead of really creating groundbreaking experiences for the fans. If Rich the kid is really going through a hard time. A stressful time where he feels like he wants to end it all. I hope that he reaches out to friends, family and fans. I personally think Rich the kid is a very talented artist even though that I do not particularly listen to everything he does. But I do see his movement and I feel like if this is just a marketing tactic this is something that he does not have to do. And if he's upset about his deal or if he's upset about his situation and circumstance I just pray that the brother understand that everything in life is only temporary. And that sometimes you have to take the good with the bad. He may be in a situation that he doesn't want to be in right now. But the sun always rises and there is always hope as long as you don't give up. This is not a post about me trying to give you all of the facts this is just my personal opinion my analysis on the situation. And I hope that this is not a marketing tactic because there are real people out here dealing with suicidal thoughts and depression. You shouldn't speak death on yourself. You shouldn't speak death on your fans. You shouldn't play with death because death is in your tongue per the bible & law of attraction.